An essential part of any good vacation is the food. Your culinary experience can either make or break an otherwise fantastic trip. Lucky for you, a trip to Paradise Island Beach Club gives you some of the best dining options of all the Nassau Paradise Island hotels. Whether you’re looking forward to a world-class Bahamian dining exploit or a quick and easy meal without leaving the comfort of your villa, Paradise Island Beach Club will not disappoint. Sit down for a fantastic lunch on the patio at our Reef Bar, or opt for a more romantic oceanside meal. Every day the Reef serves up quality local cuisine as well as the American standards, along with specialty island-inspired cocktails. Let the friendly waitstaff cater to your needs and provide you with the relaxing and delicious dining experience you deserve. 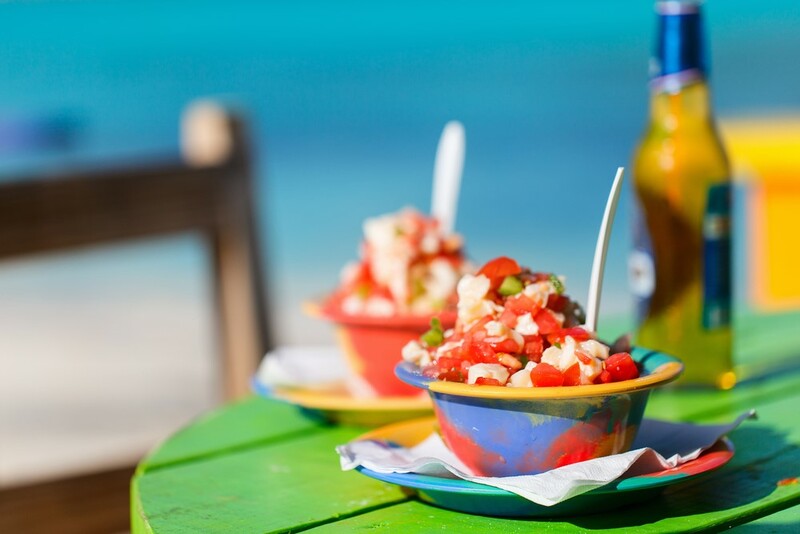 For the more adventurous travelers seeking an even higher caliber culinary adventure, visit one of the many area establishments and taste the vibrant food culture of the Bahamas. Paradise Island Beach Club is just minutes away from the best restaurants in all of the Nassau Paradise Island hotels. Visit Dune, for example, and find yourself tasting the work of Michelin star chef Jean-Georges Vongerichten practically next door to the resort. Head over to Baha Mar and order something suited for every palate. From fine French cooking to artisanal Asian fare, the island boasts delicacies waiting to be discovered. After an exhilarating and, quite frankly, exhausting night out on the island, take advantage of your private in-villa kitchen and cook up some brunch in the comfort of your pajamas. All of our villas feature a fully-equipped kitchen ready for some home cooking! With a grocery store on the resort grounds, you have everything you need to make your family a delicious and cost-effective meal. Book your Bahamas vacation now and experience all of the convenient features in one of the best Nassau Paradise Island hotels. Whether you find yourself in the mood for a delicious poolside meal, high-class cuisine, or a quick and convenient bite to eat, Paradise Island Beach Club meets all of your food needs. Visit our website for more dining information and to book your stay!